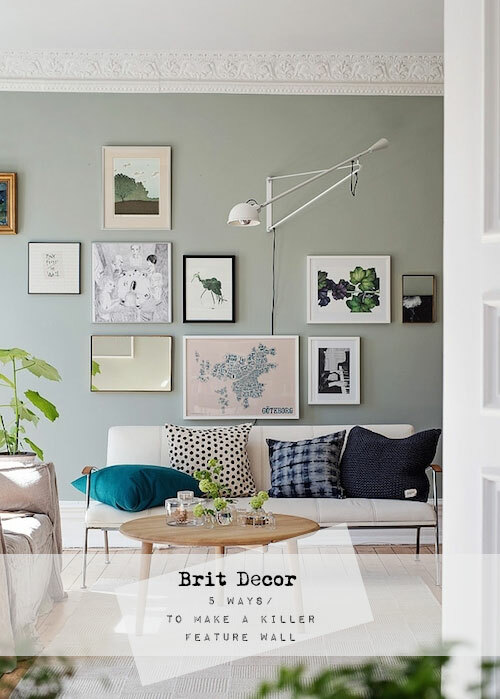 Brit Decor : Home Page: Brit Decor: 5 Ways to Make a Killer Feature Wall! Have you ever looked around a room in your home, or somebody else's, and thought to yourself, 'this needs a feature wall'? If you answered 'yes', then today I have just the post for you, with five key means of transforming a wall into an eye-popping feature! If you are a fan of Pinterest, you'll know how fun it is to pin your favourite images to handpicked boards. Well this is the 'real' version - gather together some favourite 'looks', be it images and artworks, wallpaper, furnishings or accessories, and apply to your chosen wall. For added impact, painting the chosen wall in a vibrant hue will really make a wall sing out! 1. There are so many gorgeous shapes, patterns and textures to chose from when it comes to tiles. 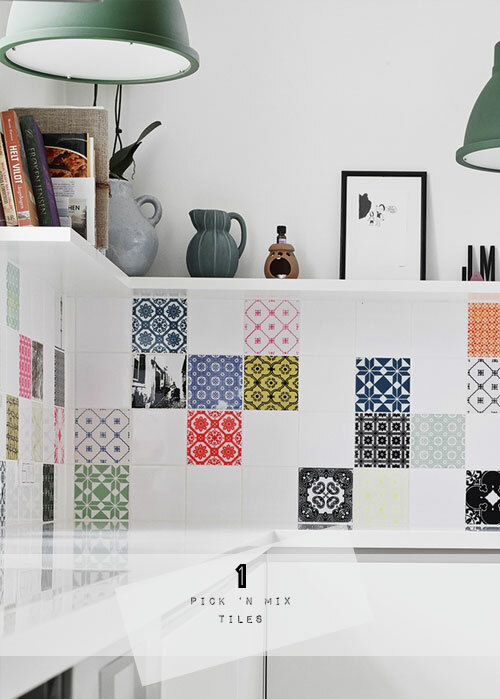 A fast and effective way of creating an exciting display wall is to add randomly patterned patchwork tiles. Have fun and design your own tiles - there are many manufacturers who will print designs/photos onto tiles and these can easily be interspersed with plain ones (as shown 'above'). 2. 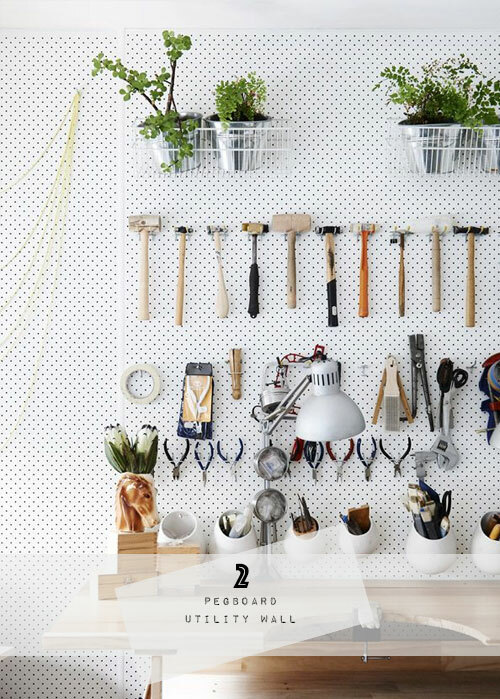 Practical doesn't have to be boring, in fact why not explore the new utility style with an on-trend pegboard? Adding some wall planters will immediately soften the look and bring some healthy colour to any tool collection. 3. Release your inner-disco dancer. Wallpapers are an excellent source of inspiration, and opting for a colour-burst design will really awaken the senses and create a show-stopping feature wall. 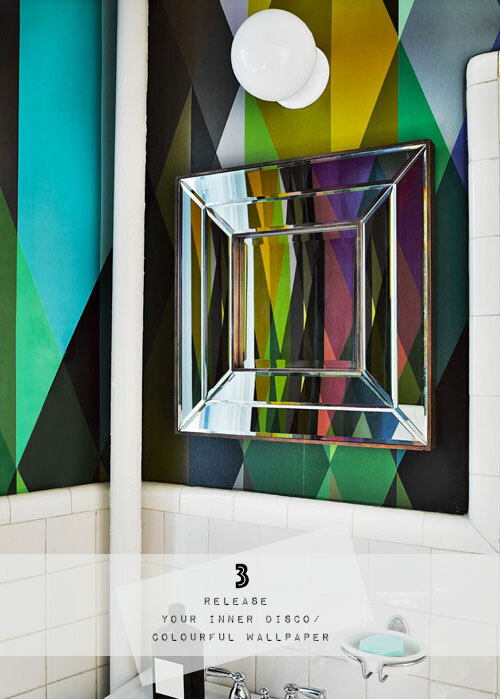 This can also be an awesome starting point for accenting and co-ordinating accessories throughout a room. 4. Create a mini-jungle! 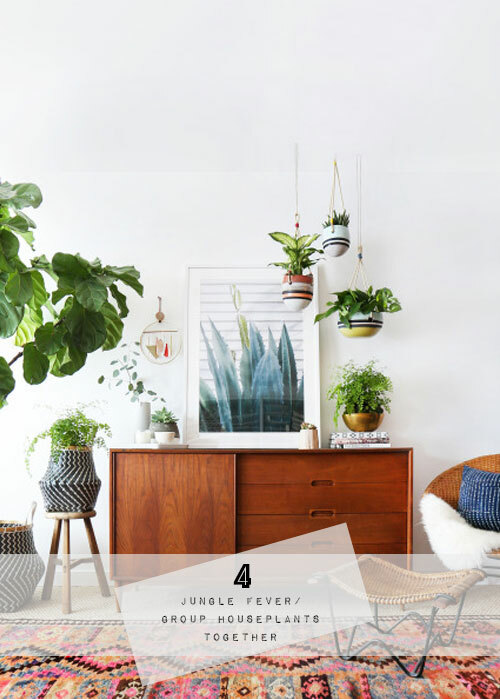 Plants look incredible indoors too and are now an essential feature of many stylish homes. So why not exploit this look to the max by grouping together several plants in different shapes, textures and sizes. For added interest, why not mix-in a stunning foliage-inspired print? 5. Vanity project? 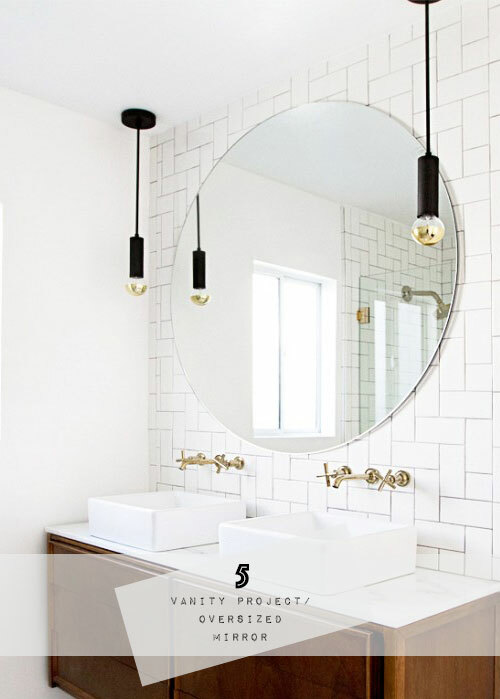 Mirrors have long been a friend of interior stylists because of their space and light creating illusionary properties, and for this reason they can deliver a top-billing feature. Naturally for our feature wall, we'll be going oversized for maximum impact. What makes your ideal feature wall? I'd love to know!